"Out of the ashes, hope will rise." A group of airplane passengers live through their worst fear, which happens when they plane crashes and they are stranded. In an attempt to make it out alive, the survivors of the plane crash have to learn how to work together in order to build a new plane to take them home out of the Mongolian desert. 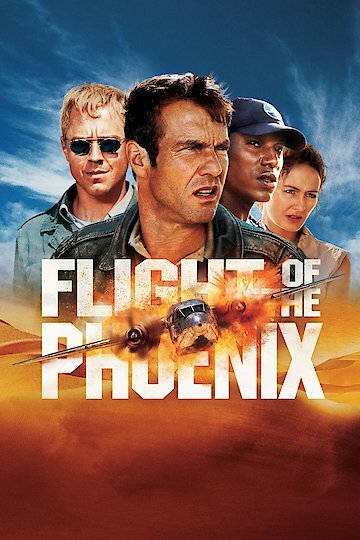 Flight of the Phoenix is currently available to watch and stream, buy on demand at Amazon, Vudu, Google Play, FandangoNow, iTunes, YouTube VOD online.